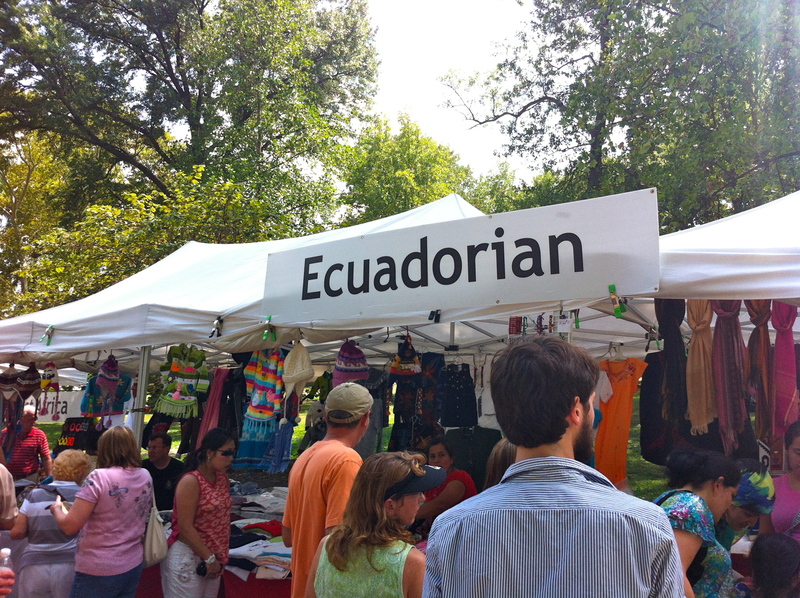 Every Labor Day weekend is the Festival of Nations in Tower Grove Park. The event is quite overwhelming, with thousands of people converging on the park. While a lot of people believe that St. Louis is not a diverse city, this festival proves them wrong, as there are booths from about 50 different countries. 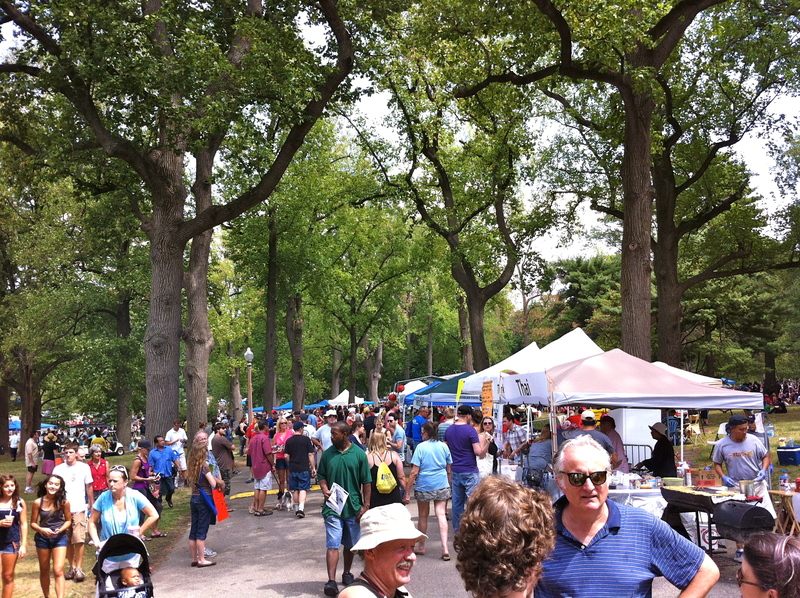 The festival has three parts: food, trinket shopping, and cultural performances. The first part is food. In the middle of the park, there is a long alleyway of tents stretching about 400 yards. Each tent has a country or region at the top and serves food for festival prices. Some of the more unusual foods are Burmese, Nepalese, Peruvian and Nigerian, but you can also find more common food such as Italian, Bosnian, and Chinese. The trinket shops are structured very much the same way as the food. Each booth is very similar to a touristy gift shop in the country represented. Cultural performances were also scattered throughout the day. The only one I saw was Irish dancing. The festival is certainly a large melting pot of cultures, but I think that there is almost too much going on the experience anything in depth. I mean, can you really boil down an entire country’s culture into one trinket booth? Then again where else can you eat Turkish baklava, Japanese noodles, while shopping for West African walking sticks, while watching Cuban dancing?